A lectern is a reading desk with a slanted top that allows you to read from documents to an audience. Lecterns have an adjustable height and generally require the speaker to stand. 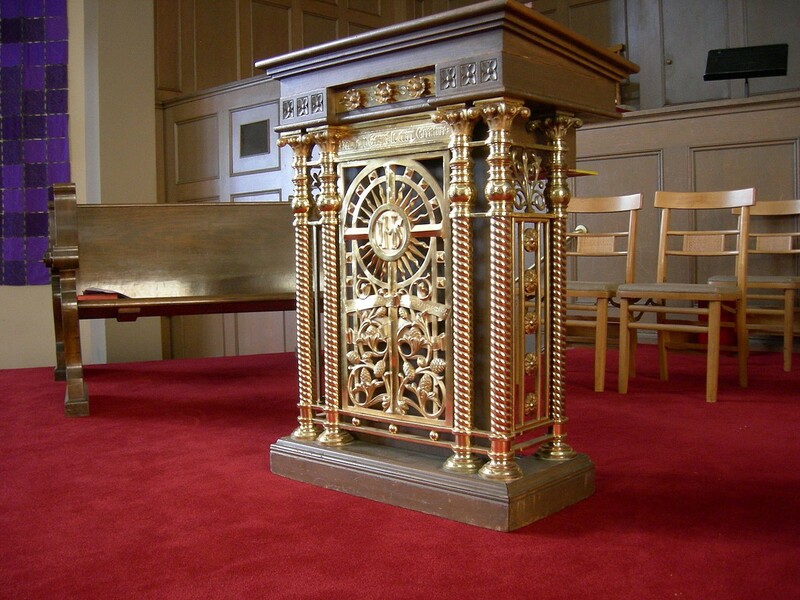 The word lectern originates from the Latin word lectus or legere, which means “to read”. In pre-modern times, the word was used to describe the reading stand from which the Scriptures were read. In the Catholic Church, the lectern is used to hold The Bible, and it stands inside the pulpit from which the priest preaches to the congregation. In cathedrals, there will often be more than one lectern; a second one might be used by the choir to hold a liturgical book, the Antiphonal. 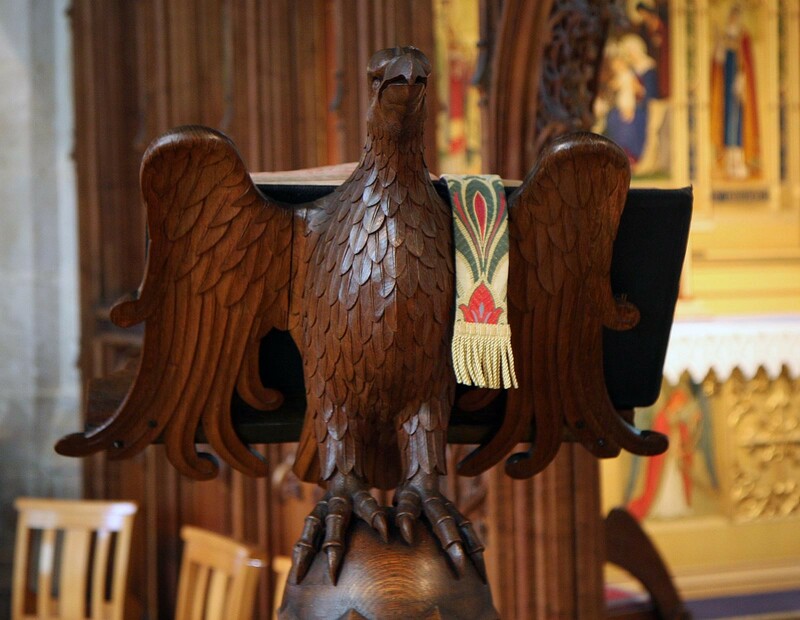 Choral lecterns are normally shaped as angels or eagles. The eagle was a symbol of a bird that flew the highest in the sky, closest to heaven, and therefore symbolised carrying the word of God to all four corners of the world and represented the inspiration of the gospels. Today, lecterns are used in several situations. Universities use them for lecturing their students, and they are generally used by any public speaker. The most famous lectern is the one used by the White House for presidential speeches. This one has a bullet-proof front to protect the President from assassination attempts. Downing Street also has one. It is placed in the middle of the street when our Prime Minister wishes to address the country. Modern lecterns are not just a wooden book stand; they have loads of technical equipment attached to audio visual equipment, lighting, autocue, computers and networking equipment. From classrooms to courtrooms, lecterns are an established piece of necessary furniture, enabling speakers to address their audience from a formal platform. Lecterns are predominantly made of wood, but more lightweight, durable lecterns are made of metal or Perspex. They can be fixed or freestanding, and they are also available built-in on a desktop. Bespoke lecterns from sites like http://simonkohnfurniture.co.uk/bespoke-lecterns/ can be designed to your personal specifications. Previous Previous post: Your next car: buy it or lease it?